Published January 4, 2017 at 2592 × 1456 in Feast your eyes on this! 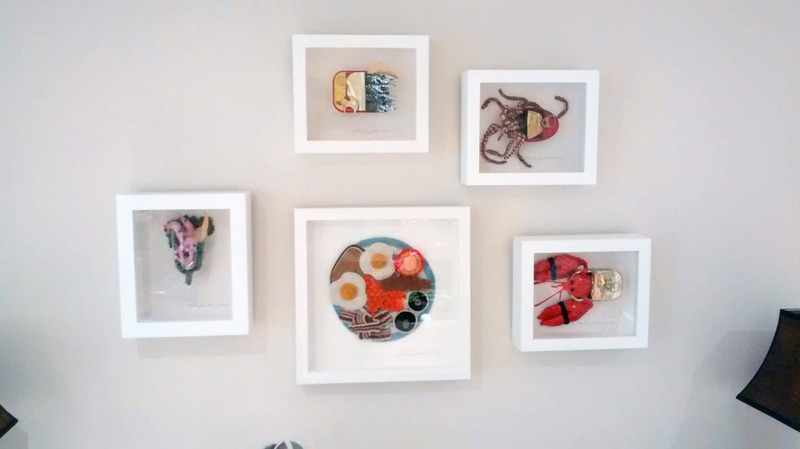 An Asymmetric, collage style hang worked best to show off Artist Kate Jenkins’s crocheted food. Framed in deep box frames.